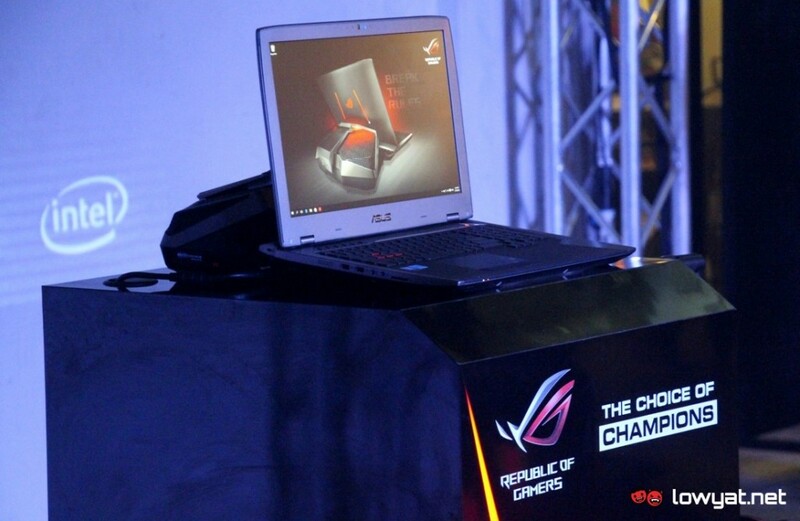 We might have spotted the laptop at a local retailer last week but it is now official: the new ASUS Republic of Gamers GX700 gaming laptop has landed in Malaysia. 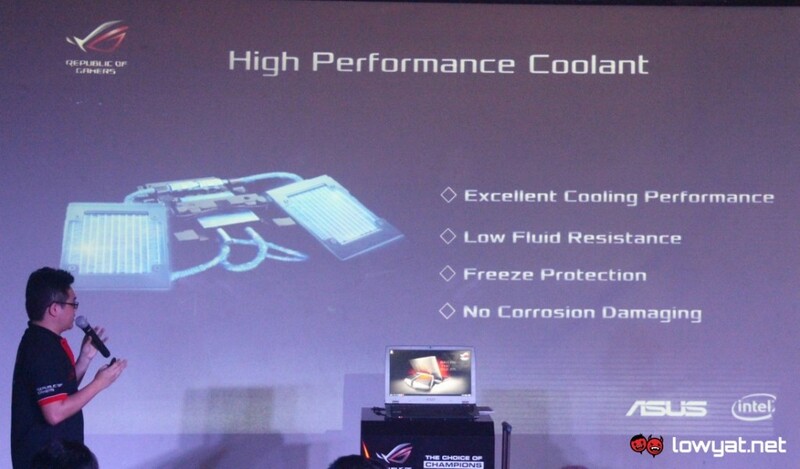 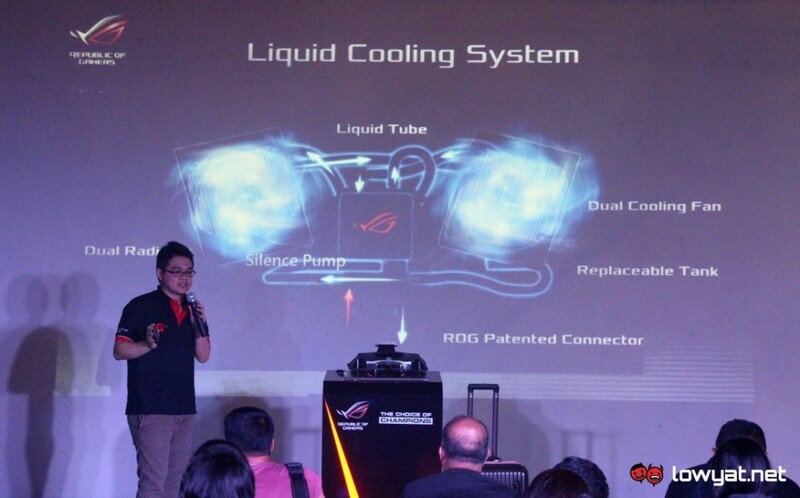 Said to be the first gaming laptop in the world to feature liquid-cooling system, the price tag is exactly just like what we’ve seen prior to the launch which is RM 18,999. 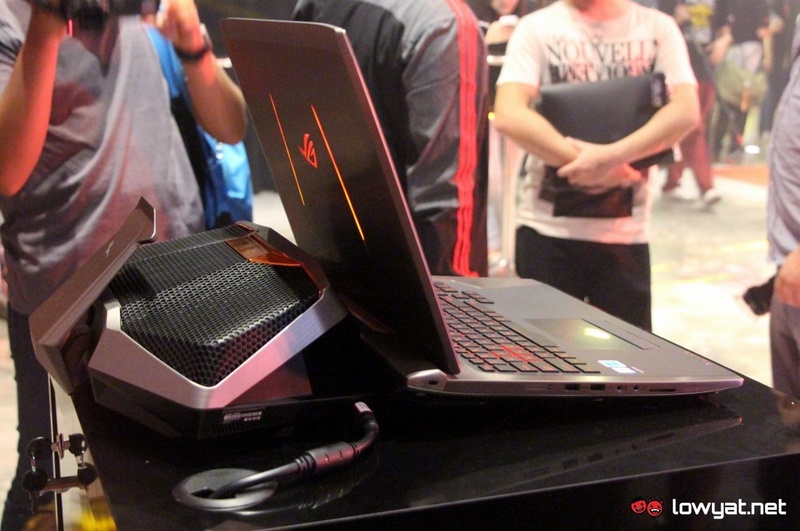 First shown at IFA 2015, the gaming laptop is equipped with a 2.7GHz Intel Core i7-6820HK processor, two 256GB PCI Express M.2 solid state drive, and 32GB DDR4 memory. 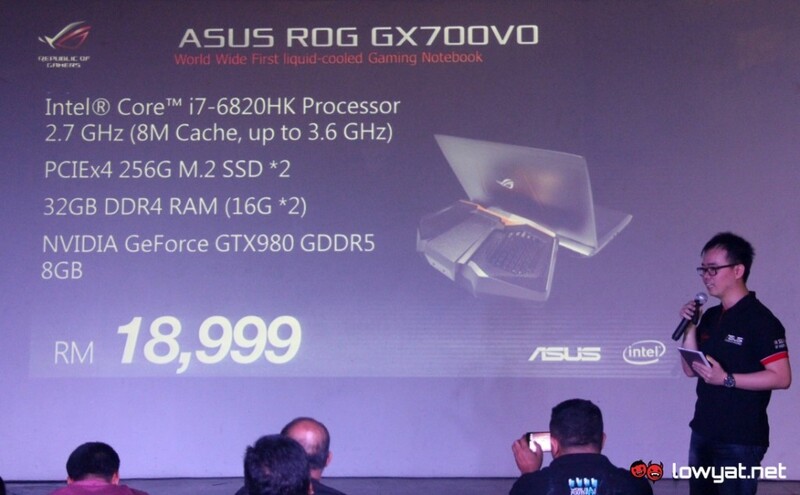 Alongside its GSYNC-enabled 17.3-inch full HD (1920 x 1200) IPS display, GX700 also comes with a desktop-grade NVIDIA GeForce GTX 980 GPU with 8GB GDDR5 VRAM. 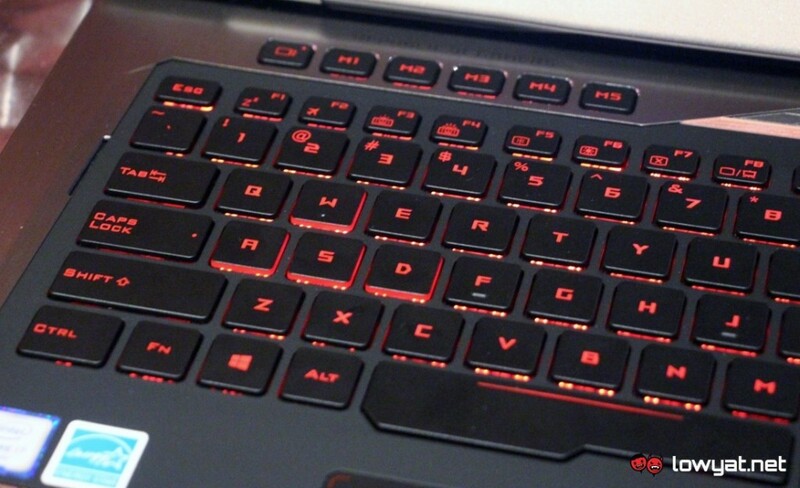 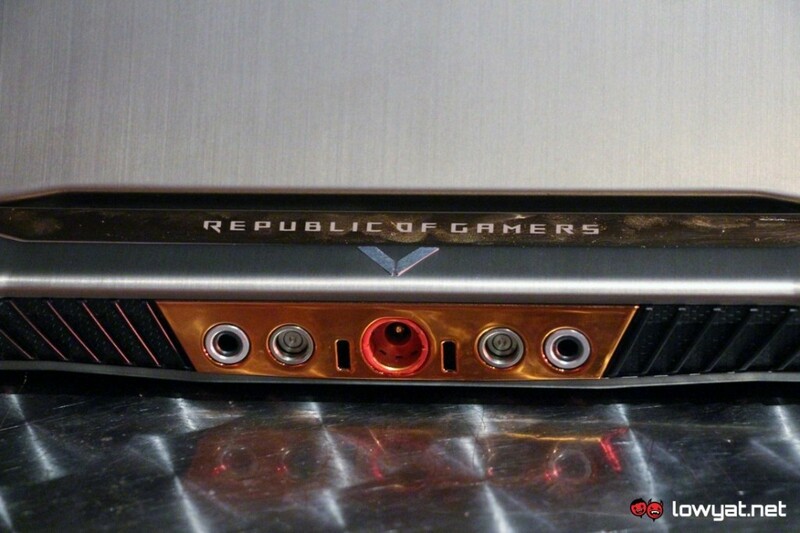 Other than that, the high-end gaming laptop also carries a backlit anti-ghosting keyboard and ESS Sabre DAC as well as a built-in amplifier for its audio output. 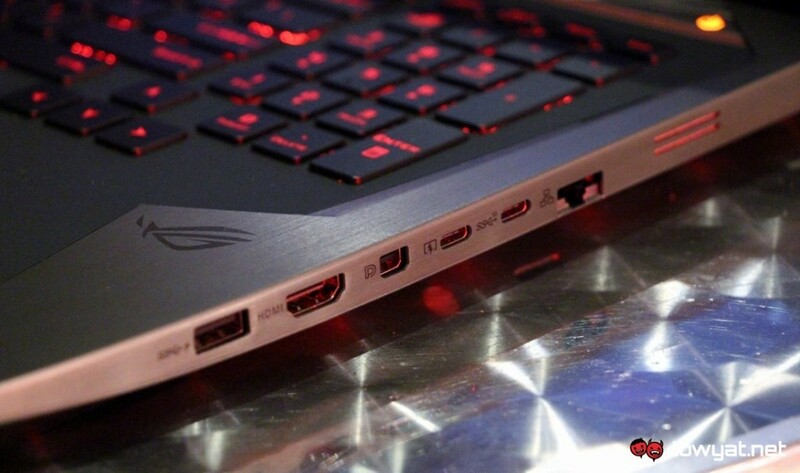 ASUS has also included dedicated USB Type-C ports for Thunderbolt 3 and USB 3.1 Gen 2 connections into GX700. 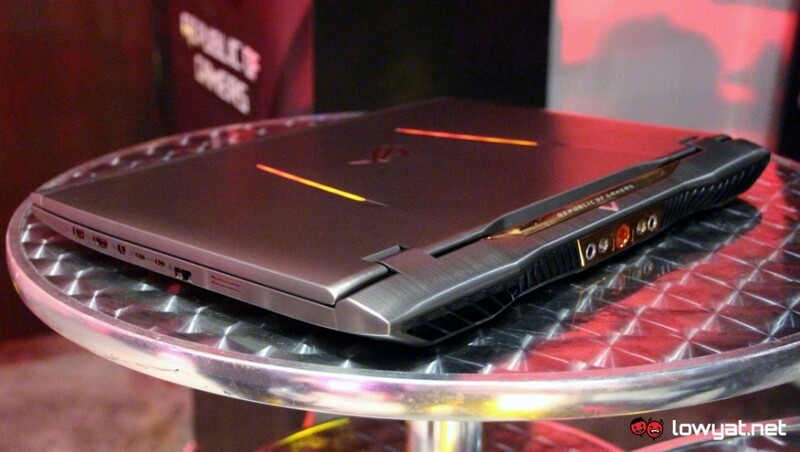 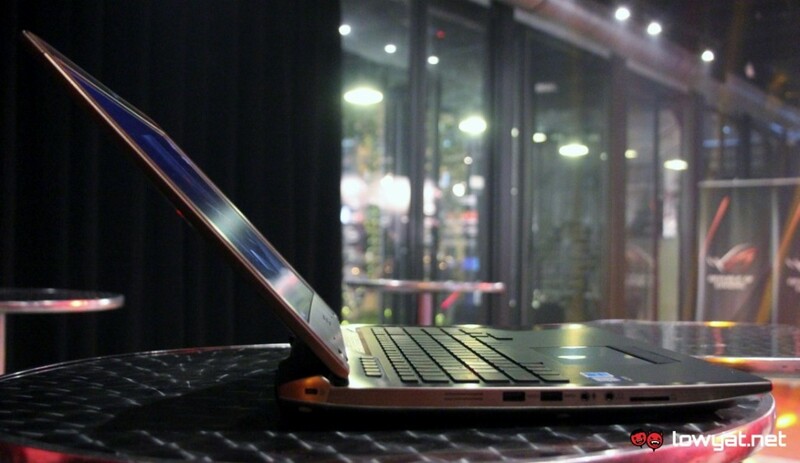 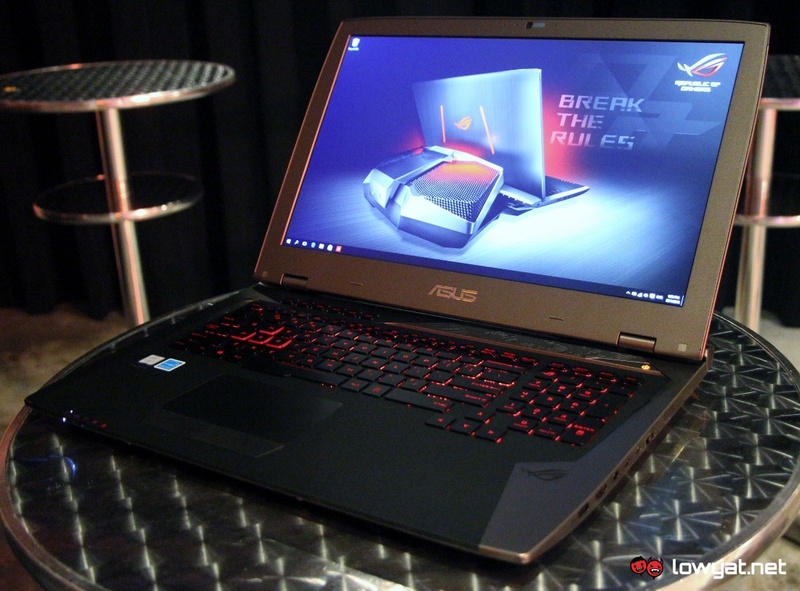 Being a gaming laptop with 17-inch display, the GX700 is definitely quite huge. 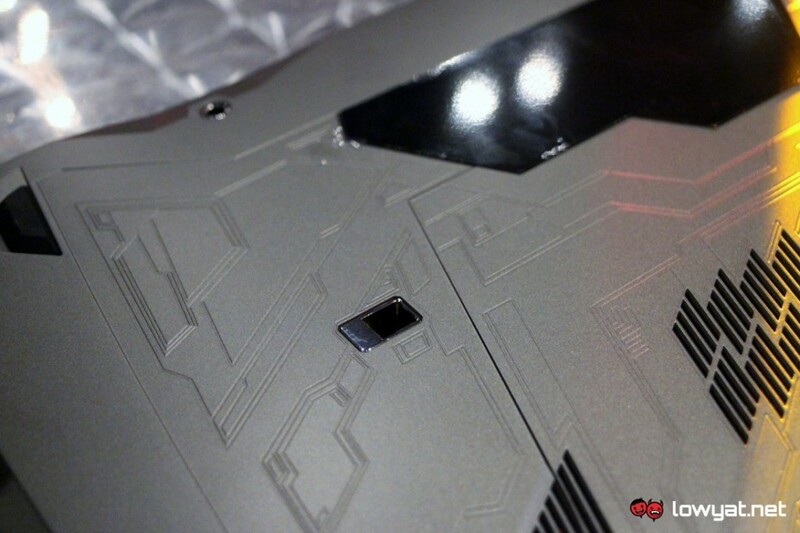 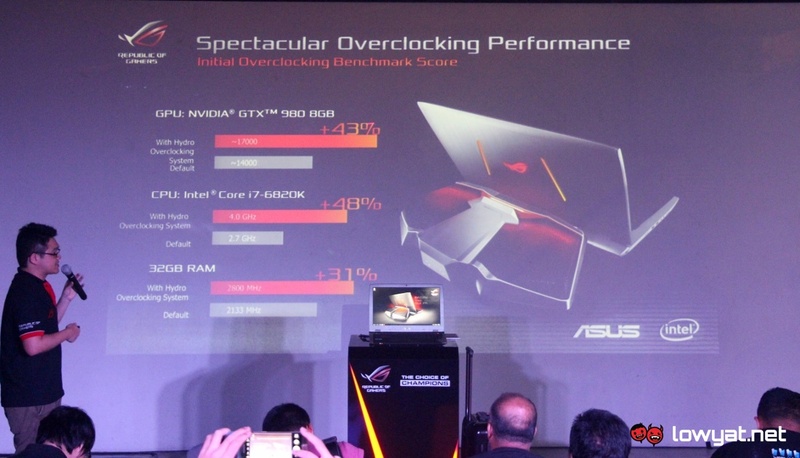 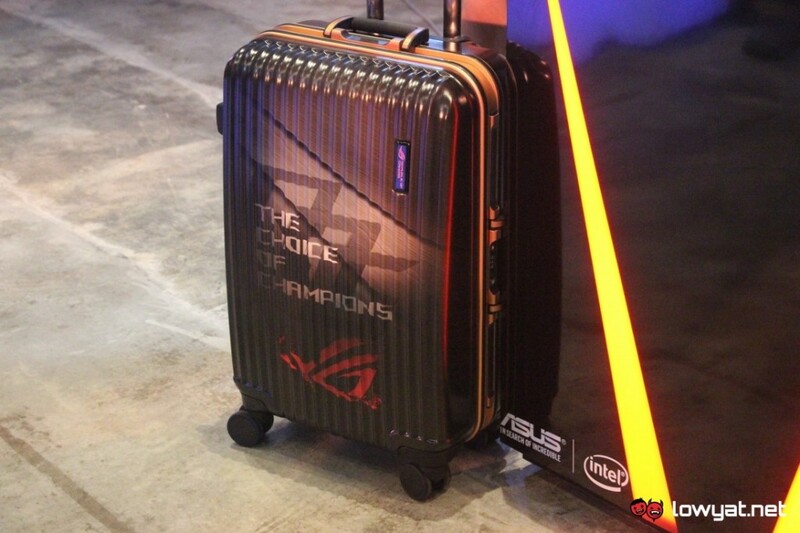 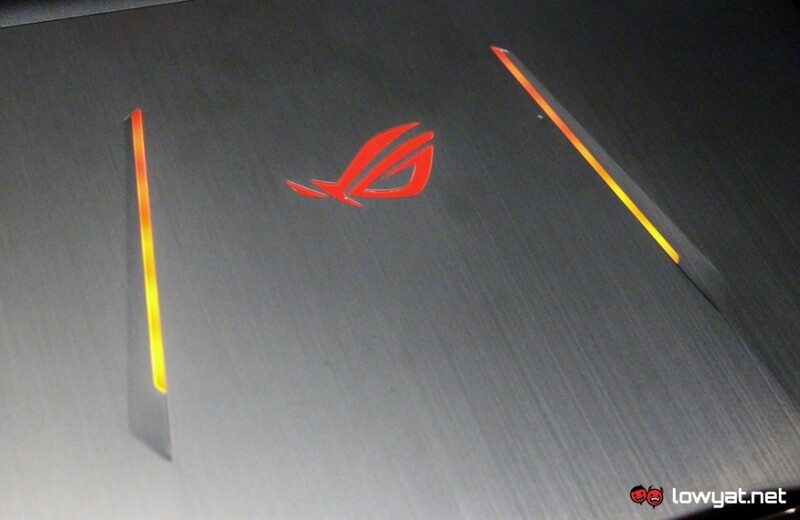 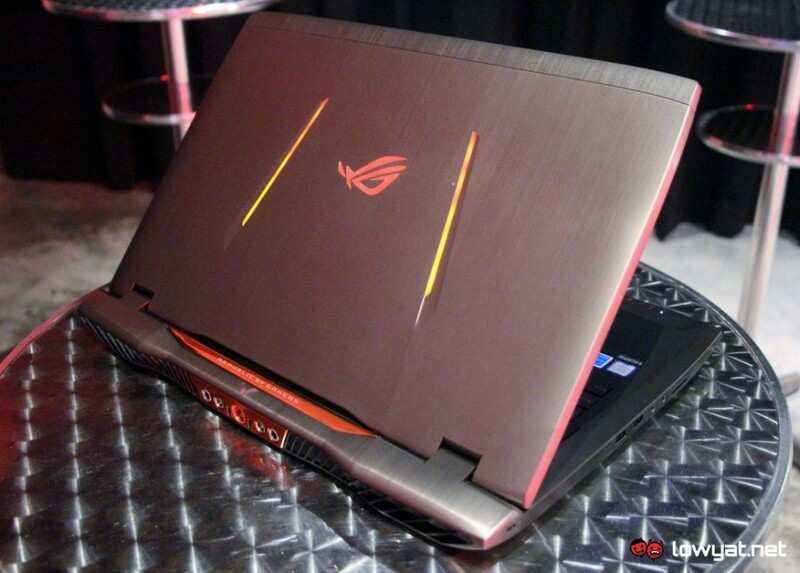 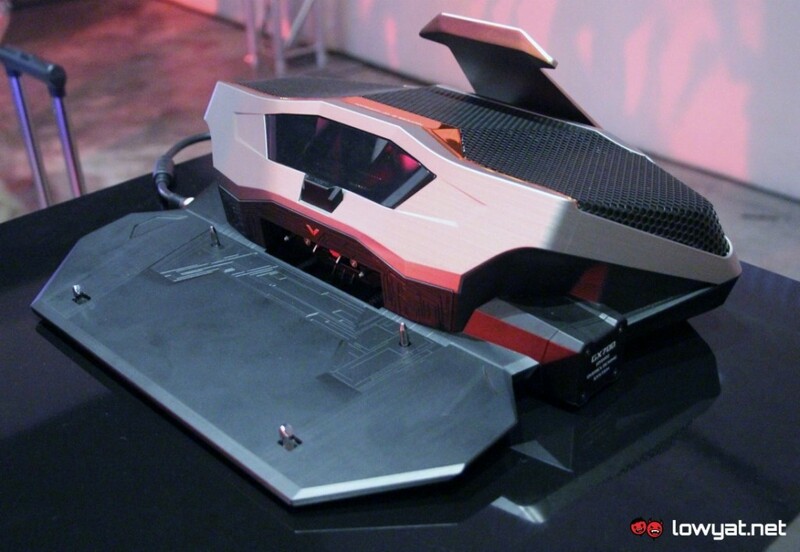 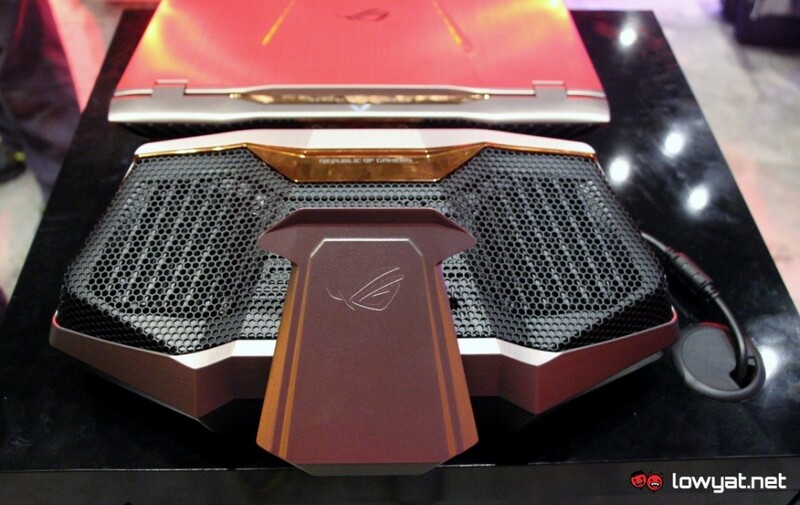 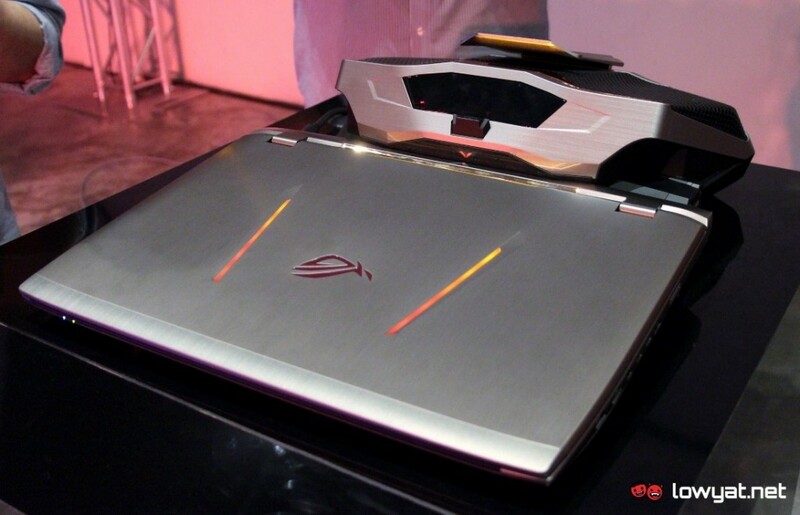 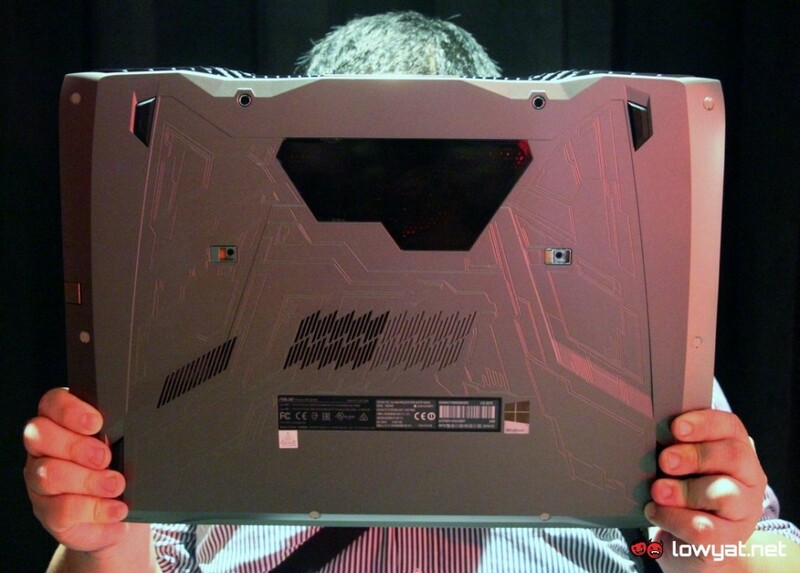 Not only that, it is quite heavy as well as 3.9kg although still lighter than the 4.4kg monster that is the ROG G752. 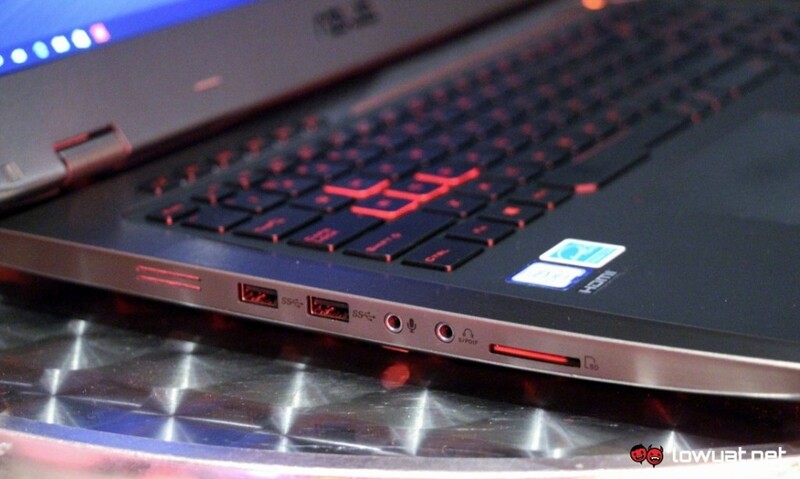 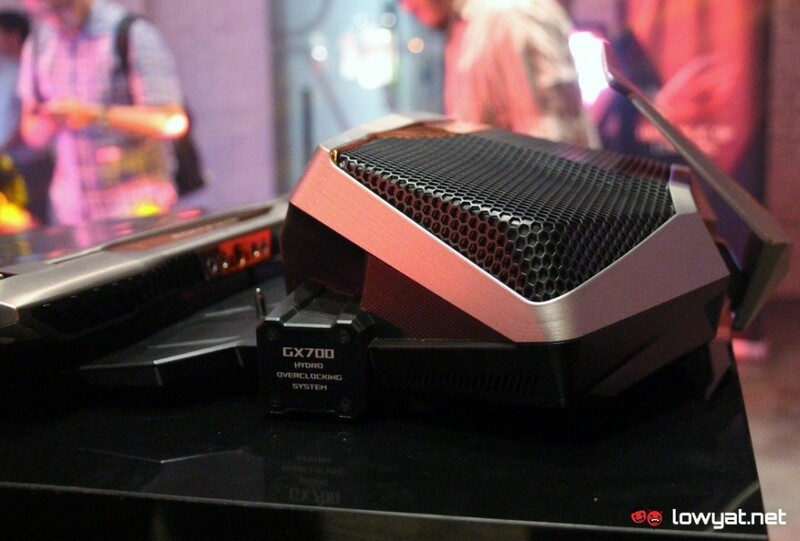 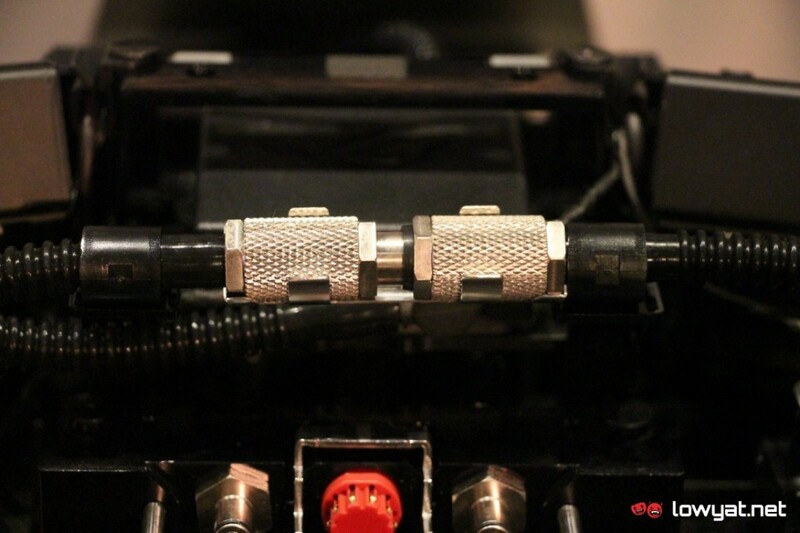 The GX700 is also much thinner at 35mm as compared to G752 which has a maximum thickness of 51mm. 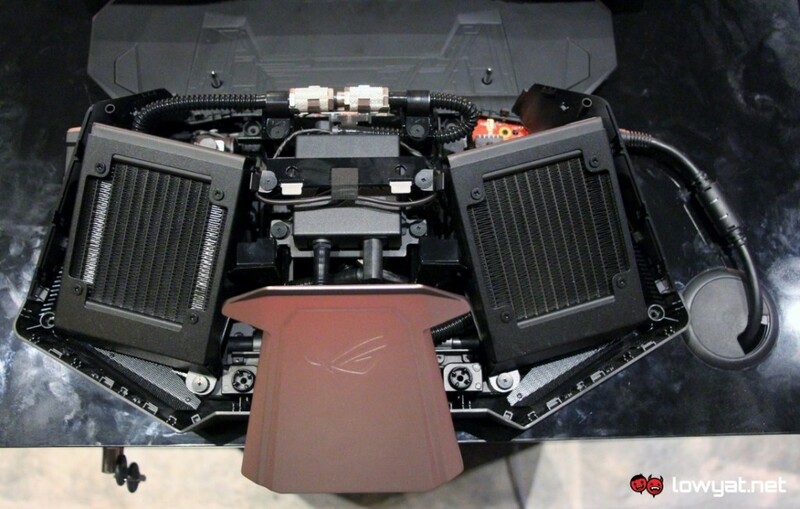 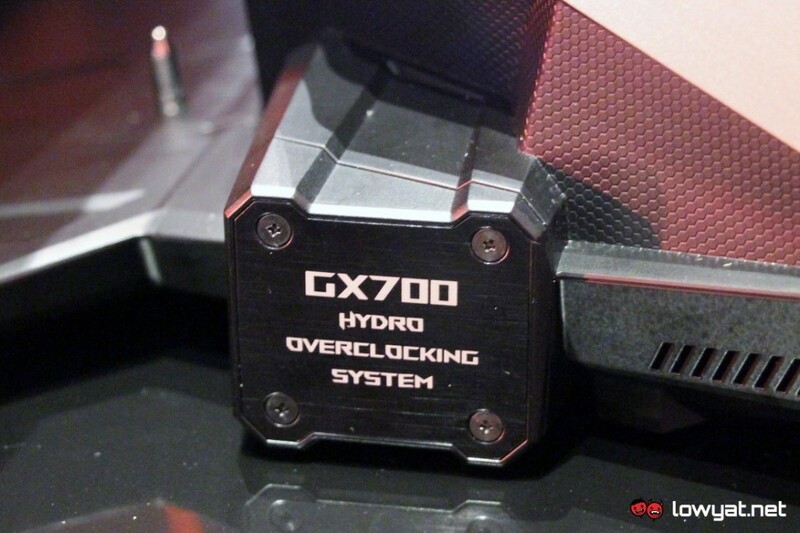 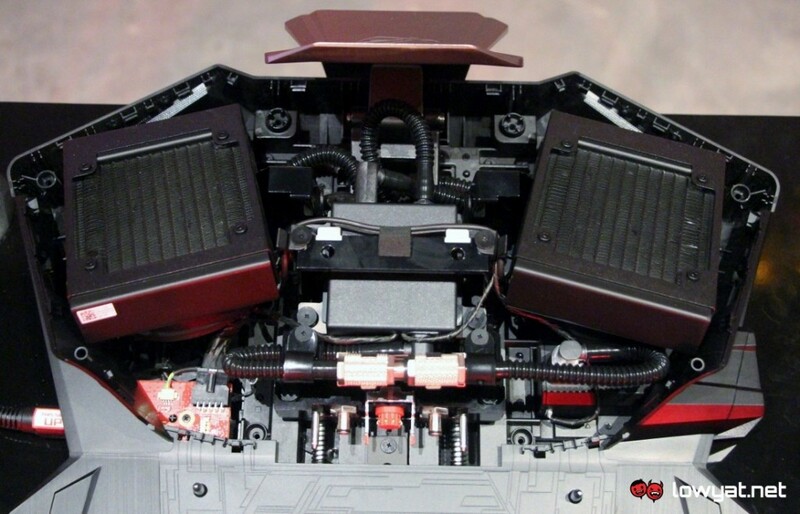 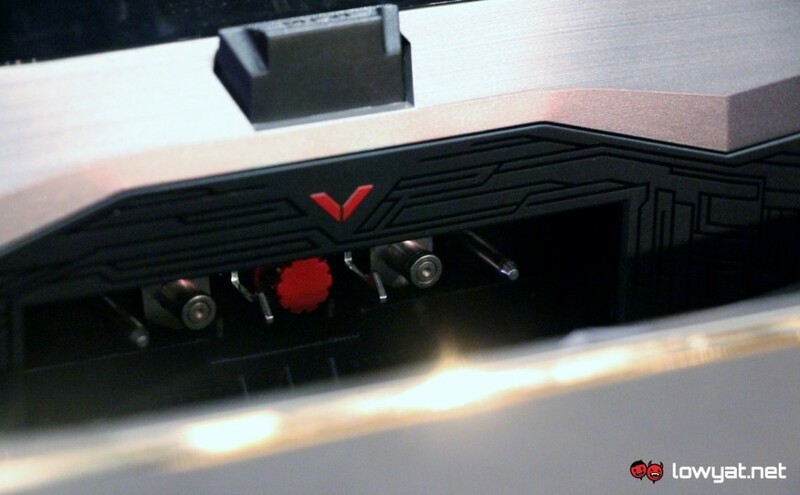 Meanwhile, the liquid-cooling dock (or the Hydro Overclocking System as ASUS calls it) is also built with a rather simple set of latches that allows the GX700 to be securely dock and undock rather easily. 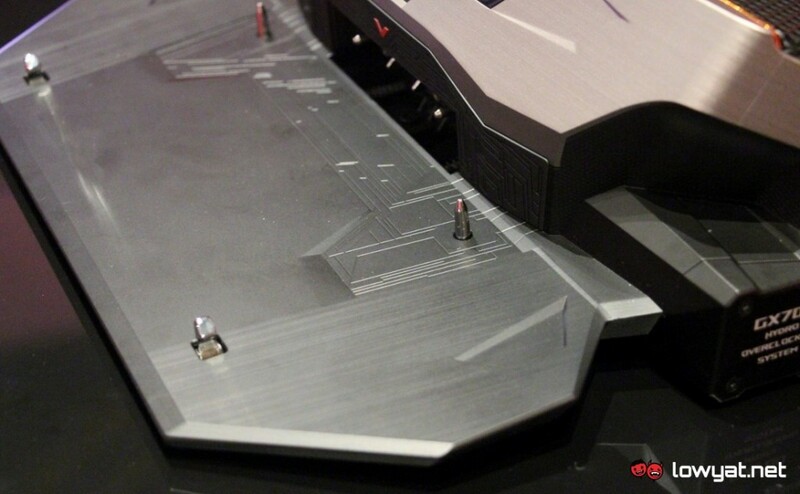 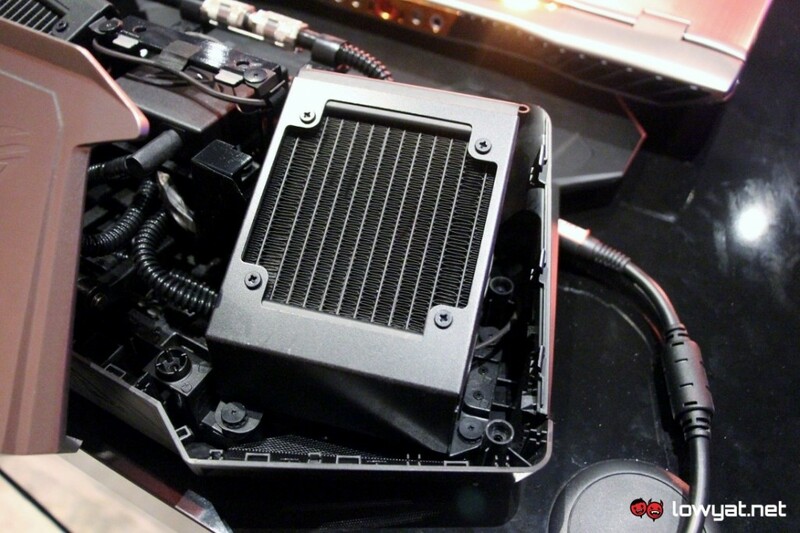 Additionally, the cover on the liquid-cooling dock can be popped open quite easily once the screws are removed. 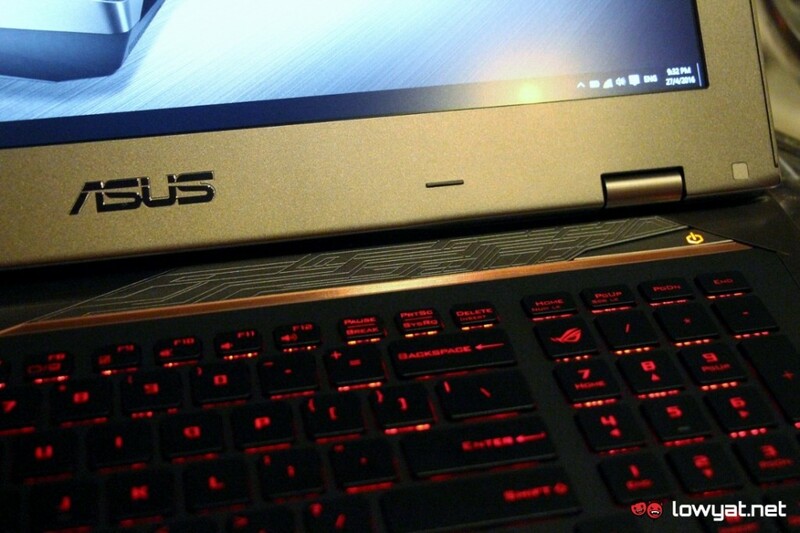 For those who are wondering, the dock is powered by its own power adapter which utilizes different connector than the laptop’s own power brick. 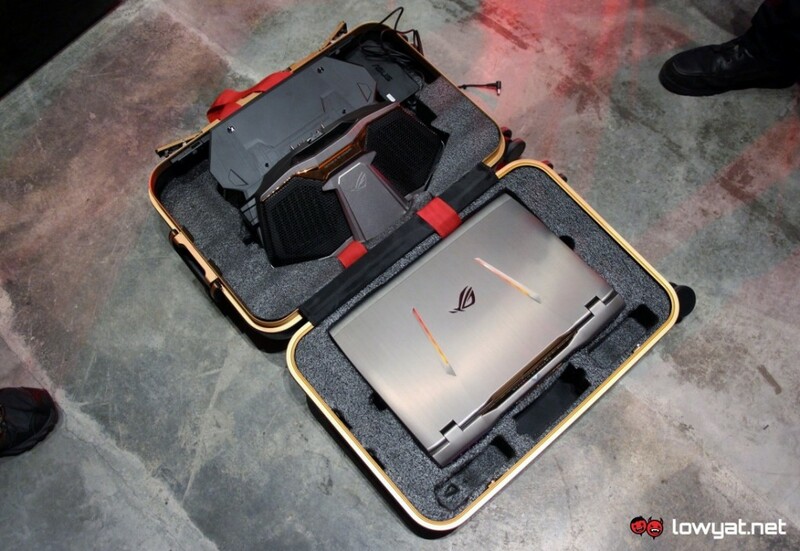 As mentioned before, the GX700 comes with its own luggage design that has been customized to fit both the laptop and its liquid-cooling system. 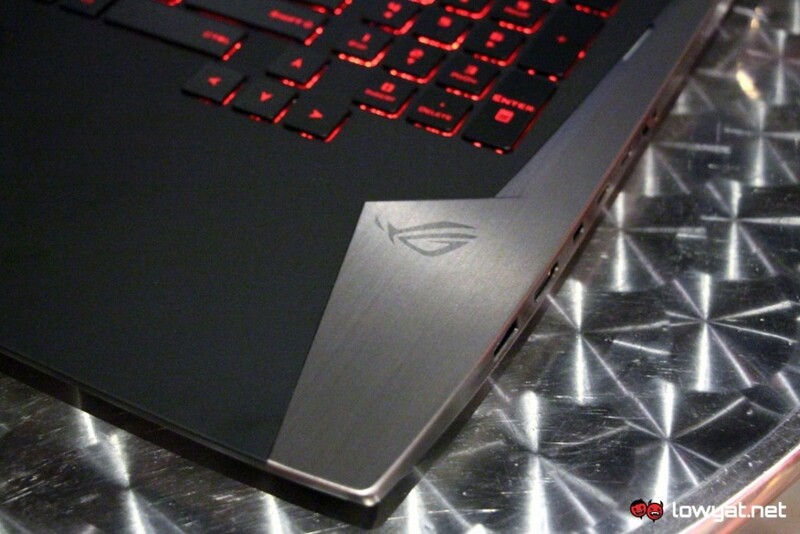 For those who are interested to get their hands on this unique ASUS ROG offering which is now readily available in Malaysia, head on to your nearest ASUS authorized retailer.